A nationally touring dance work was inspired by stories collected by the LGBT Elders Oral History Project. "This is LGBT history and it is also American history." 8 p.m. Fri., April 4, and 8 p.m. Sat., April 5. The rights of the LGBT community have been in the news, with state courts and legislatures extending or denying those rights to residents. But no matter where you fall on such issues, the human desire for love remains a universal truth which binds us all. 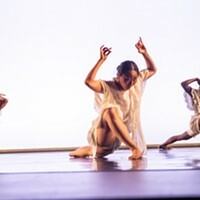 That is the subject of choreographer Sean Dorsey's 2014 Isadora Duncan Dance Award-winning work The Secret History of Love, presented by the Kelly-Strayhorn Theater April 4 and 5. Recognized as the nation's first out transgender modern-dance choreographer, Dorsey has received honors including a San Francisco Bay Guardian "Goldie Award," two Isadora Duncan Dance Awards (Izzies) and a 2010 spot on Dance Magazine's prestigious 25 to Watch list. The 75-minute The Secret History of Love is performed by Dorsey's San Francisco-based Sean Dorsey Dance along with guest singer/songwriter Shawna Virago. The dance-theater work was inspired by real-life stories collected during a two-year national LGBT Elders Oral History Project. The work mixes audio recordings of personal stories from some 10 LGBT seniors ranging in age from 55 to 85 along with full-throttle, athletic modern-dance choreography and a musically diverse original soundtrack from seven composers to create what the Miami Herald called "an epic work ... powerful, moving, hilarious." 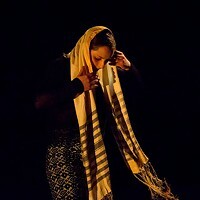 "What is nice is that the audience gets introduced to some of these elders in the work first through stories of their first crush or the first time they fell in love, and then they get to know them through other stories of hardship and throughout the work," says Dorsey, by phone from San Francisco. Dorsey says it was important that the choreography for himself and the work's three other dancers correspond directly to the elder's stories: "It is important to me that the audience can not only understand what is going on in the work, but can personally relate to it." The troupe's performances at the Kelly-Strayhorn are part of a 20-city U.S. tour, one that Dorsey says is for audiences of all stripes. "This is LGBT history and it is also American history," says Dorsey. "The work reveals the strength and resiliency of the human heart. Even after so much suffering over the years, [the LGBT] community has endured and we have been able to find love."